Despite, you know, being economists, the three of us do have our limits on how much economics we can take over a short period of time. And the American Economics Association Annual Meetings are pretty much guaranteed to put us way past our limit. It’s a three-day extrava-nomics-ganza, with conference presentations, professional networking, and job interviews. It’s especially hard on Scott, our resident curmudgeon. Our desire to escape from another such dinner soon led to an annual tradition. Each January, during the Annual Meetings, we would make a point of escaping the conference, if only for a few hours. And this was no little escape… We’d make a point of leaving the state. 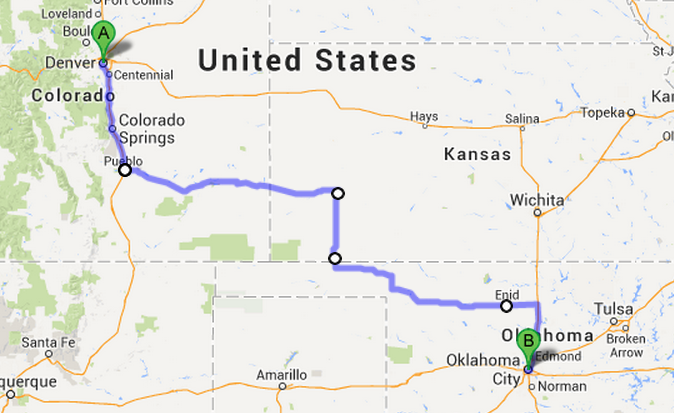 Anyway, our second Roadside MBA Tour began in similar fashion. We met in Denver, the site of the 2011 American Economics Association Annual Meetings. After tending to our professional responsibilities — mostly interviewing recently minted PhDs for job openings at our respective schools — we hit the road. Stops included Pueblo, CO, Garden City and Liberal, KS, and Enid, OK.
And as if to make up for the extreme Midwestern heat from Roadside MBA Tour #1, this trip was met with blowing snow and nasty, bitter cold. 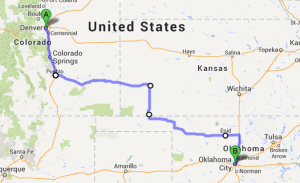 Liberal, KS, won the title of most colorful city on this trip. This was in part due to some amazing visits we had in town — in print, there is simply no way to do justice to Audie Bartel (though we tried in Chapter 5) — but this is also attributable to the wonderful oddness of Liberal itself. First, the name: Liberal, like most plains towns, isn’t exactly a comfy electoral home for Democrats. Second, the rivalry: We spent the day before in Garden City, and pretty much everybody we talked to there had something bad to say about Liberal. (For Liberal’s part, folks there didn’t bring up Garden City at all, and simply shrugged when we invited them to fire back.) 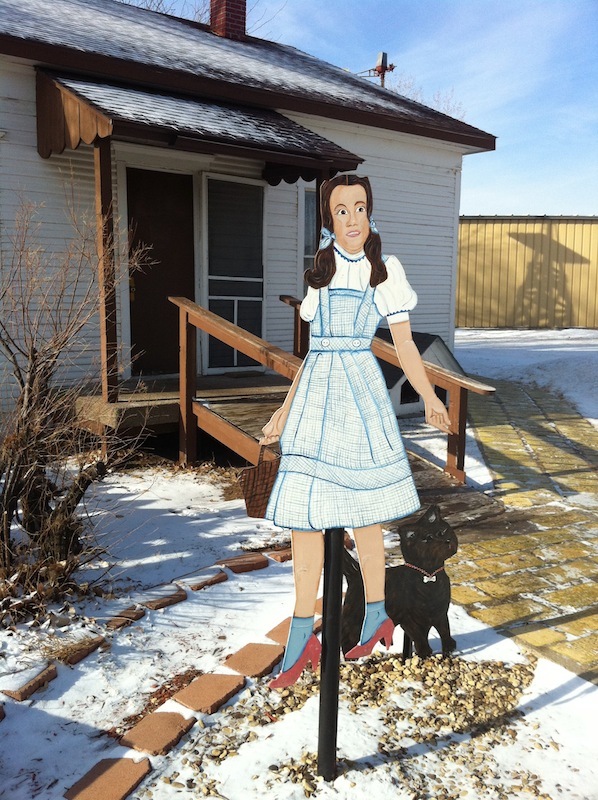 Third, the Oz: Liberal is home to the “Land of Oz” exhibit, which we found to be a bit surreal as a dead-of-winter tourist spot. 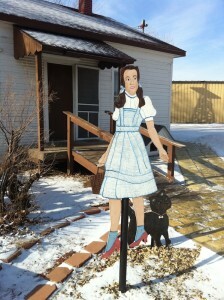 (“Dorothy, you need a coat!”). And fourth, the Mexican: For lunch, we hit a local taqueria — where the heat was out. Lacking time to find another lunch destination, we sat down amidst the half-dozen industrial strength propane gas heaters that were struggling to keep the place above 40. We bundled up, ate enchiladas, and sipped Diet Coke as a team of heating techs hauled equipment past us to the back staircase. We love you, Liberal!